The father of American folk music, Woody Guthrie influenced generations of Americans with his witty journalism and landmark songs. 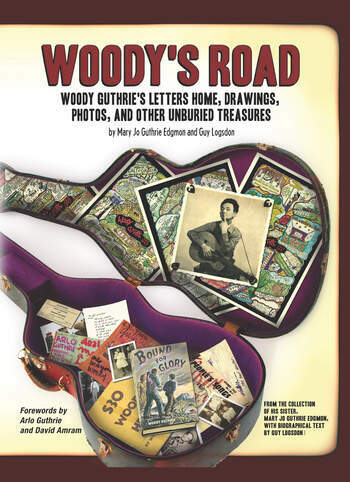 Woody's Road brings together letters to family, photos, drawings, and lyrics to reveal Guthrie's budding personality as he grew from a young boy into a man of remarkable strength and character, becoming America's most publicly political songwriter and the legendary musician who influenced Pete Seeger, Bob Dylan, Bruce Springsteen, Ani DiFranco and so many others. The book shows how his commitment to social equality never wavered, as shown famously by the slogan 'this machine kills fascists' emblazoned on his guitar. Jo Guthrie and Guy Lodgson uncover the intensely intelligent and articulate man behind the folksy wit.